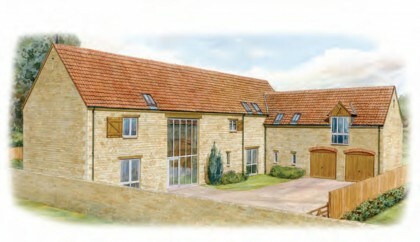 The picturesque village of Maxey is the perfect location to experience life in a desirable rural setting, whilst enjoying all the amenities of the nearby City of Peterborough and historic market towns of Market Deeping and Stamford. The local area is home to many ‘quintessentially English’ villages which manage to respect their past whilst looking to the future – and Maxey is no exception. Within Maxey and the surrounding villages there are many examples of attractive buildings featuring local materials including Collyweston roof stone slates, thatch and Barnack Stone (also known as Barnack rag). 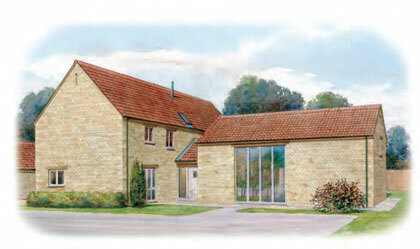 This attractive limestone has been a popular building material since the Norman period and was used to create the impressive walls and towers of Peterborough and Ely Cathedrals. 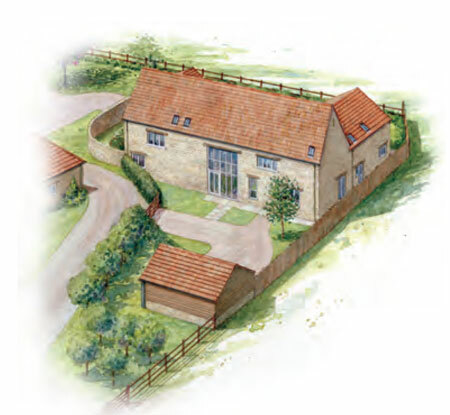 Our architects have worked closely with planners to reflect the village’s rich heritage whilst designing homes that are ideally suited for contemporary living. 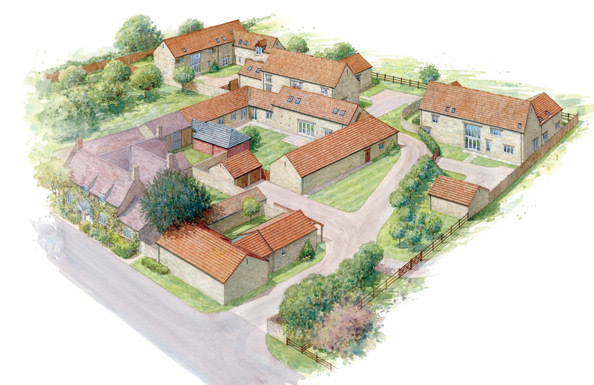 Wistaria Farm, situated in a former farmyard, comprises five individual new homes which are inspired by the styling of local barns and agricultural buildings. 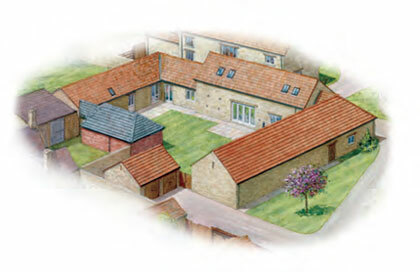 Featuring stone walls, traditional style terracotta pantiles, oak lintels and weather boarding, each of the new homes harmoniously blends in with the surrounding village buildings. The homes offer a choice of accommodation from spacious 5 bedroom barns through to a more modest two bedroom property with a bungalow style layout.